If you think your adolescent child could have problems with alcohol, you need to know the signs to determine if this is the case. Keep reading to find important information about teens and drinking. Alcohol is bad for your health and it’s even more damaging when young people consume it. Even though the stereotype of an alcoholic is usually described as a middle-aged or adult person, adolescents and alcohol have always been a problem and it’s becoming more and more frequent. 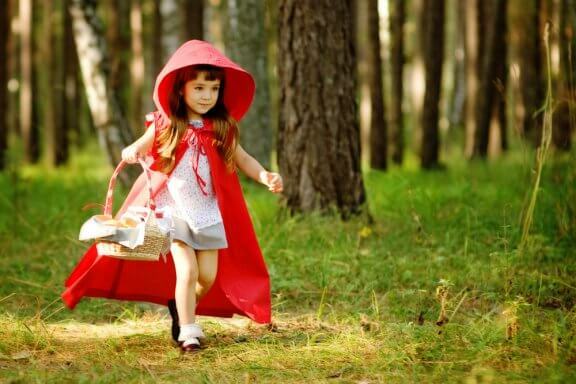 If you believe this is happening with your child, the following article will help you with some recommendations on what to look out for. We’ll teach you some of the signs that can confirm if your adolescent child drinks alcohol. 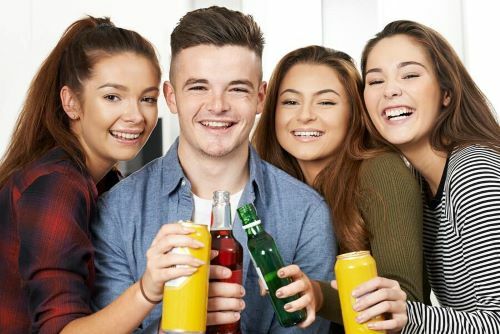 The first thing you should know is that adolescents, in most cases, consume alcohol to disconnect from the pressures they suffer in this stage. They also take an interest in alcohol to have fun. At this developmental stage of adolescence, alcohol is one of the drugs that teens consume also because of peer pressure. This can make it difficult to discover the symptoms because it merges with other teenage behaviors. Certainly, the vulnerability of being an adolescent is an enormous factor in the use of alcohol at an early age. Even though many parents believe their own children have never tried alcohol, the reality is that most adolescents have had their first experiences. With this in mind, getting to know the signs of alcohol use in adolescents is useful for parents. How can you tell if your adolescents drink alcohol? Firstly, one of the signs that your teenagers are drinking alcohol is their difficulty getting up the next morning. Be on the lookout especially when they’ve been out with friends the night before. This means you should be attentive to any sign of a hangover. For example, your teenage child may suddenly claim to come down with the flu after going out with friends. It can be another indication that he or she is trying to hide a hangover. Problems in school represent another sign that your adolescent child drinks alcohol. Maybe your child has never had problems before in school and always brought home good grades. It’s possible any sudden change in performance is because on an external cause like getting involved with alcohol. Among the possibilities you should consider is that your child has started to drink alcohol. He may have lost the interest he once had in school. In such cases, lowered performance is one of the consequences that’s most obvious or evident. In this sense, a direct conversation about the harmful health effects of alcohol may be preventative and your best ally. On the other hand, changes in mood can be one of the symptoms that teens have changed their lifestyle. They may now include bad habits in their daily activities with friends. Certainly, the general changes in personality are a clear sign that something is happening. Nonetheless, these behavioral changes aren’t always easy to identify. Teenagers change rapidly during this stage. For this reason, you should be attentive to changes in mood. You can try and detect any behaviors or attitudes that are unusual. Lastly, many adolescents change their appearance of their own free will. However, excessive consumption of alcohol can lead to weight loss and general physical deterioration. This can even translate into a loss of interest in maintaining their physical appearance. Thus, parents should look out if a teenager’s weight drops or they lose interest in how they look. This can be an indication that your adolescent child is drinking alcohol. Finally, remember that, in addition to taking the previous signs into consideration, it’s of vital importance that you speak with your child about alcohol. You should talk about the risks associated with its consumption honestly and directly. If the adolescent comes from a home that has little structure or little supervision and communication, it makes it more difficult for the parents to detect. It’s also important to note that it’s extremely common for teenagers to lie when they’re asked if they consume alcohol. They want to avoid punishment. Having good communication is key to preventing your adolescent from drinking alcohol regularly.